You Are Here: Home » Hair Treatment » Get Back Your Youthful Self! 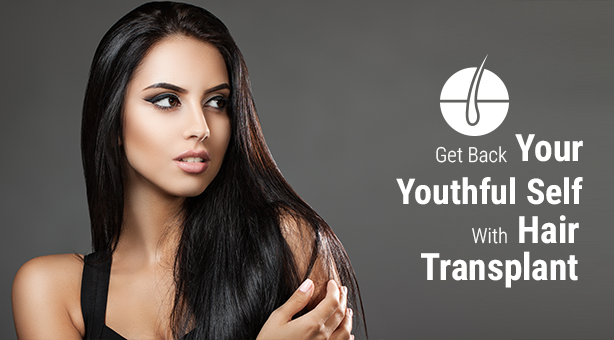 Get Back Your Youthful Self! Hair loss, Hair thinning and baldness is the most common image concerns for people of both genders today. Hair loss problems are not confined to age as people of all ages starting from teenagers suffer from them. Baldness is the most devastating problem of all and Hair Transplantation is considered the best solution. Smita Gautam tells you all you need to know about Hair Transplantation. Hair transplantation is a surgical technique that involves moving hair follicles from one part of the scalp (the donor site) to bald or balding parts (the recipient site). Usually, the occipital scalp is the donor area, from which hair follicle units are transplanted to the frontal area. There are primarily two techniques adopted, FUE (Follicular Unit Extraction) and FUT (Follicular Unit Transplantation). However, FUE has gained popularity and is trending as the most effective sutureless technique in Hair Transplantation. The ideal candidate for Hair Transplantation is anyone in good health above 23 years of age, with stabilized hair loss and adequate hair available on donor area which is the back of the scalp that is considered an ideal candidate for hair transplantation. A receding hairline is the first and most depressing visible sign of balding. A corrected hairline which makes you look more youthful and feel more confident is the most important outcome of a hair transplantation procedure. Designing the right hairline which will suit you over the years is the most important aspect of client satisfaction. Most of the hair follicles on the scalp are naturally grouped together in units of 1 to 4 hairs, called follicular units. Transplantation of the entire follicular unit gives the most natural look after surgery. The follicles are placed in a specific direction, angle, and depth. The hair starts growing within 3 to 4 months, however; it takes around 9 to 10 months to show full growth. Hair transplantation is essentially a microscopic surgery. Skin City has a very experienced hair transplantation team; Dr. Niteen Dhepe is a renowned expert who conducts international training conferences on the subject of Hair Transplantation. He has developed a unique expertise and is experienced in futuristic hairline designing. So if you are looking for a head full of hair, then you exactly know where to head!